Designed in house and sourced directly from our preferred supplies in the middle east, a bespoke medal is a nice, cost effective addition to any event. We have various medal options, and price is very much dependent on quantity, size and design. 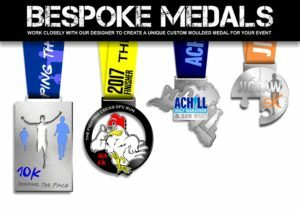 We work off a 7 week lead time from date of design sign off to ensure your medal arrives in plenty of time for your event. 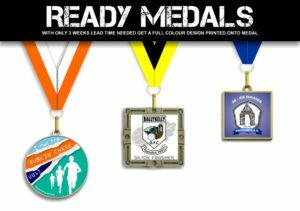 We also offer a printed ready medal option. These medals are a more cost effective alternative, and can be sourced with a lead time of 3 weeks. Price options available on request so feel free to contact us for more information.